Ram Type: None. Does not support the addition of memory. 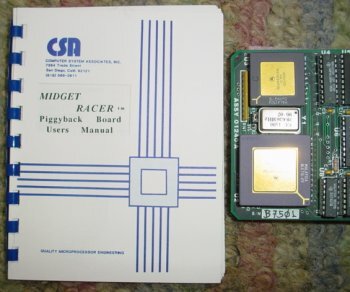 A small board measuring approximately 3.5" x 2.75" which plugs into the CPU socket. 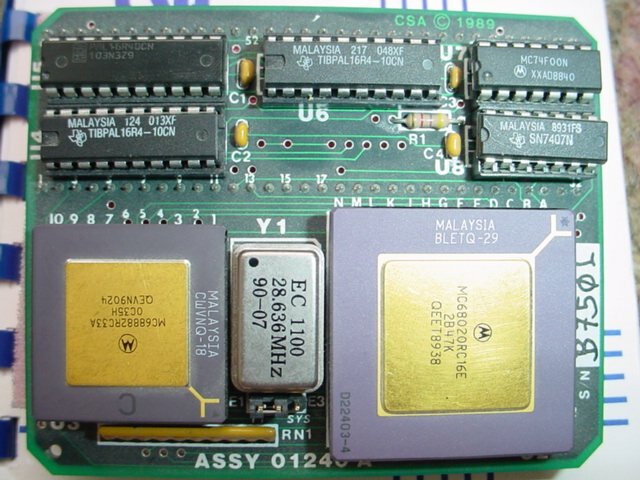 Due this card using an underclocked 020 and not supporting additional fast ram, it only achieves about a 10% speed increase of the standard 68000. 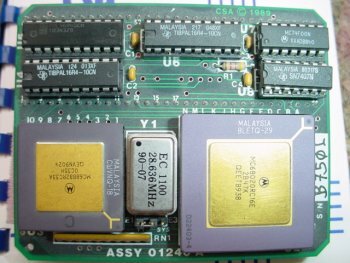 The FPU can be clocked synchronously in which case it's about 7.2Mhz or an oscillator can be installed to support an FPU at up to 33Mhz. 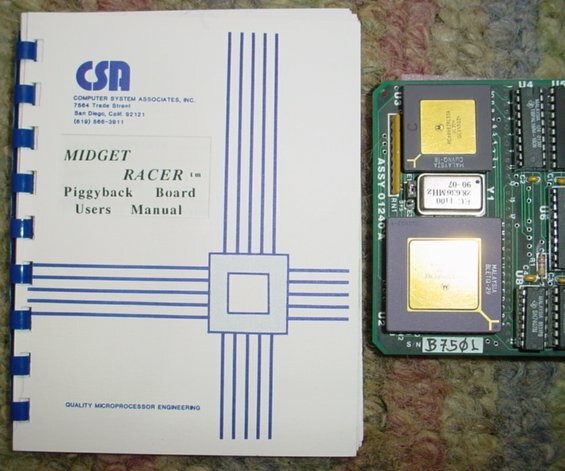 The card apparently does not work without an FPU installed.